FishingWhich Rod Won Top Honors at Muskie Expo Chicago? Which Rod Won Top Honors at Muskie Expo Chicago? After three days of checking out the newest rods, a panel of muskie experts made its choice for “Best New Muskie Rod” at Muskie Expo Chicago. At of the largest annual congregations of muskie aficionados, Muskie Expo Chicago, a panel of experts selected the Legend Tournament LMD90MLF Bantam Bait Musky Downsizer rod as “Best New Muskie Rod” at the show. After three days of checking out the newest muskie rods, the panel selected the St. Croix rod from a slate of entrants. The 9-foot rod has medium-light power, fast action and is only one of three rods in the Legend Tournament Musky Downsizer mini-series. The series is designed to meet the interest from anglers who are more frequently fishing smaller baits. Belanger said the rods have been in development for four or five years. 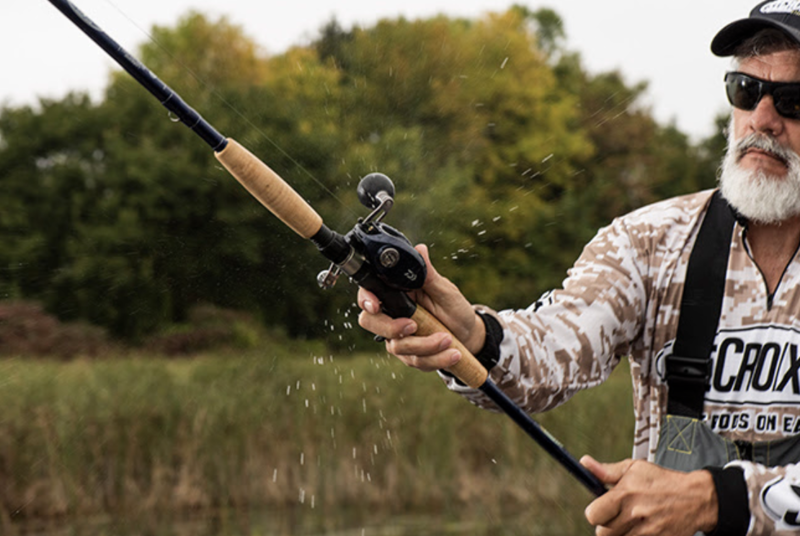 Jeremy Smith, host of Lindner Media’s Angling Edge TV, put the rod through paces in scenarios ranging from river muskie fishing to numerous Canadian trips. “I just like throwing it, especially for a lot of smaller baits, and it’s really versatile, too," Smith said. "Besides smaller bucktails it’s become my number 8 Colorado rod for double 8s. Also, I’m using it with Super Shads and triple Ds and crankbaits with smaller hooks—it’s just a good stick for all that stuff. It’s also become my go-to live bait rod. I’ve been testing the rod for a couple of years and have caught a couple dozen fish on it. It was a rod we were pushing for big time, so we put it through a lot of testing and supplied a lot of feedback during the development stage." Smith said the rod "makes fishing so much more comfortable and sporting, especially for anglers who don’t muskie fish a lot." It's designed to make boatside maneuvers easier, such as figure 8s at eight or nine feet. Technique-specific musky series features unrivaled technology and performance. Note: Information for this story provided by Traditions Media, which has St. Croix as a client.